E-type glass. Epoxy and polyester compatible. 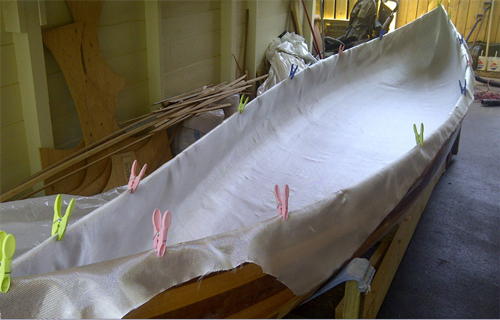 This material is typically used in small boat construction where a thin, smooth, transparent & light weight finish is desired. It provides additional strength & abrasion resistance. 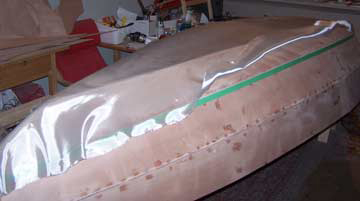 Pictured are both a cedar strip canoe and a small stitch and glue boat where Noah’s fiberglass was used extensively in construction. 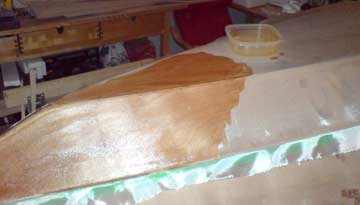 Select the needed Check box and click buy now of 10 OZ X 38" wide fiberglass CLOTH price per yard.